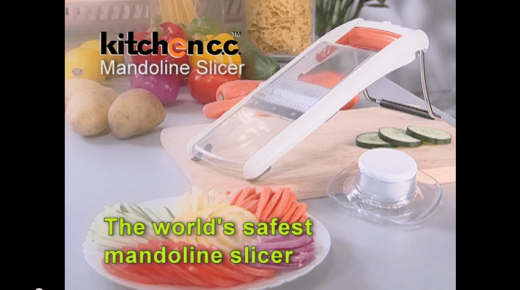 The World’s Safest Mandoline Slicer, a superbly crafted slicing tool! 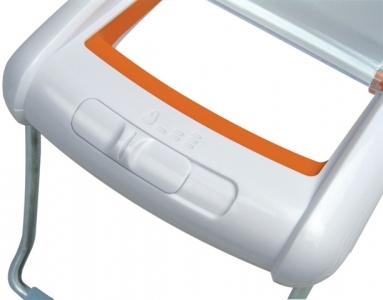 The slicer gives you double protection when unattended with the built-in blade protector and the safety lock. 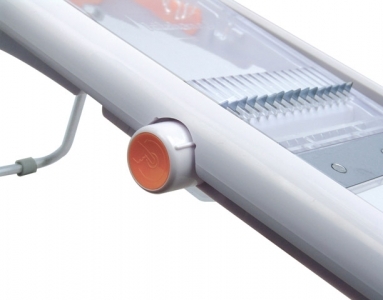 The hand guard avoids finger contact with the blades. 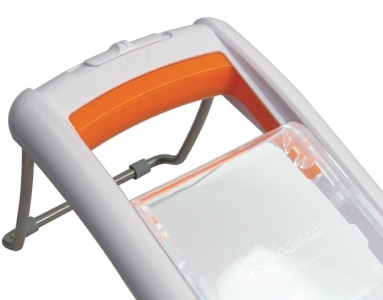 No more hazards from slicing! 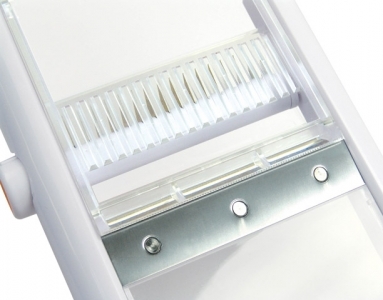 With an adjustor, you can choose thin, medium and thick serrated slicing. 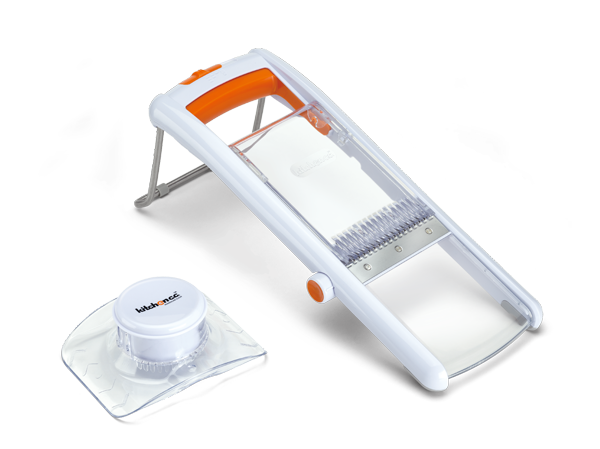 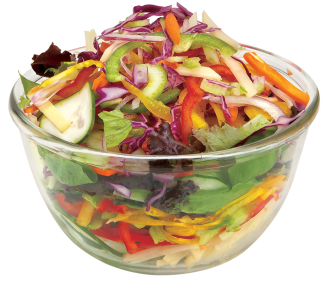 You can prepare garnishes, coleslaw and fries easily with the option of julienne blade.You can use the slicer handheld, over a bowl or resting on a countertop with the metal stand. 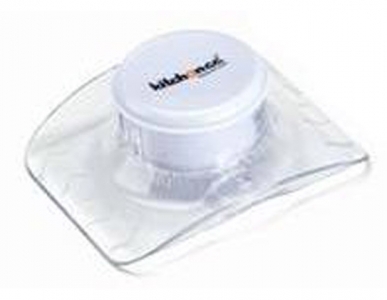 It is specially designed for easy cleaning and compact storage in any kitchen cabinet.